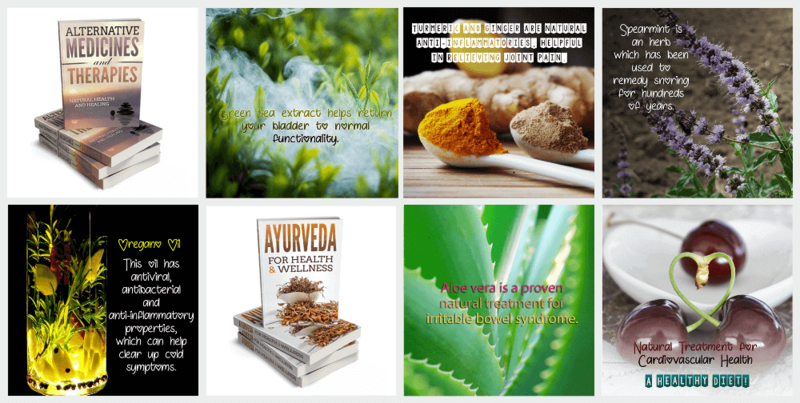 Natural Remedies, Therapies & Ayurveda PLR Special! Private Label Rights Package Ready For You To Use As Your Own! There are thousands of monthly searches on topics relating to alternative health and healing solutions! 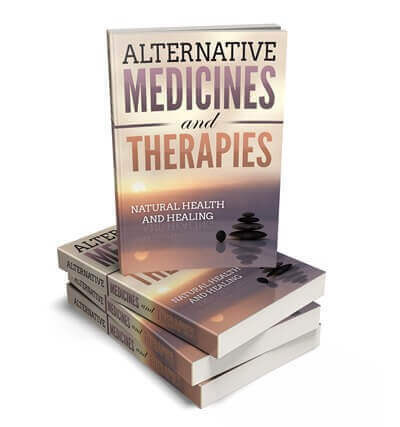 This package contains content on traditional Chinese medicines, Ayurvedic health and wellness, Ayurvedic essential oils for the doshas, natural remedies and therapies! It's a great package for anyone wanting natural health and holistic content. Now you can provide the information people are looking for with the content provided in this PLR mega pack! There are many ways you can use the content in this offer! You can use the report as a free gift for those who subscribe to your list. You can post the articles on your blog, you can add them to the report and make another ebook, you can help the people looking for natural health solutions! 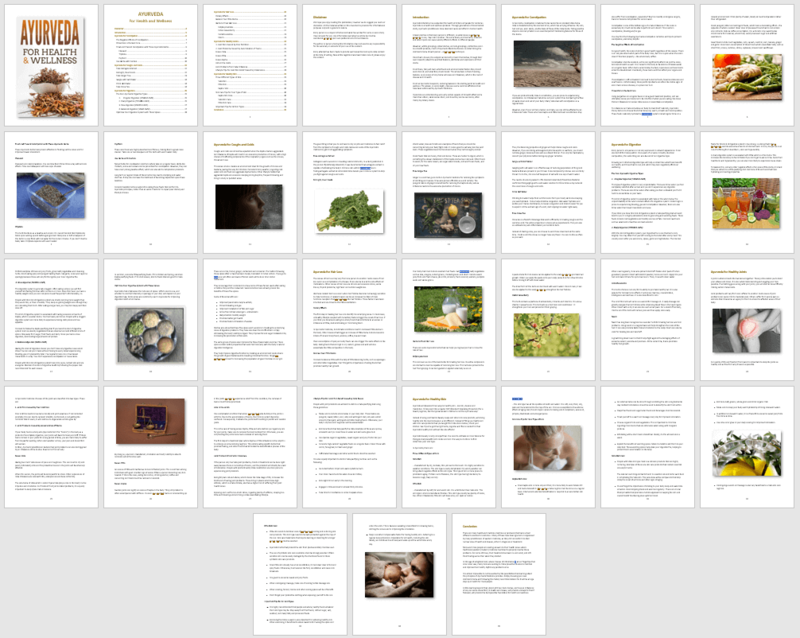 5,679 words, 35 pages. – Formatted and includes a table of contents with easy to click hyperlinked pages. 2,132 words, 16 pages. – Formatted and includes a table of contents with easy to click hyperlinked pages. Disclaimer, introduction and conclusion added. Word and PDF formats supplied. Illustrated with royalty free, commercial use licensed images! This report is professionally formatted. We have included a disclaimer, an introduction and a conclusion. The table of contents is hyperlinked too! We've created the copy for your WordPress squeeze page! 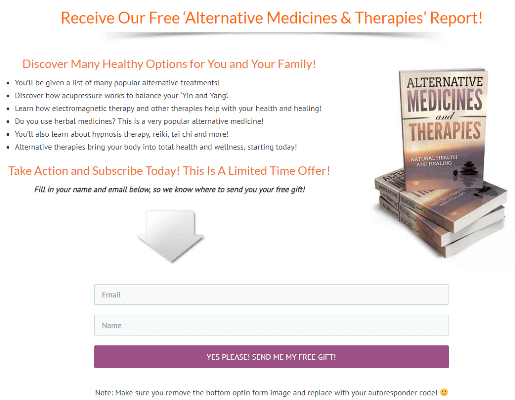 Now you can promote your 'Alternative Medicines and Therapies' report optin offer without having to create the content yourself. We've done it for you!! They are well-researched and full of information! They're interesting and will hold your reader's attention! They're not filled with repetitive keywords. We’ve also created 10 infographics from the super-sized one for you! Only the authority websites have infographics like these, as they are too expensive to create! Now it's your turn to be seen as an authority! BONUS Gift! - "Call to Action" Buttons! We have a license to give these to you as a bonus gift! You can use these graphics wherever you need a 'Call to Action' on your own websites! 144 "Call To Action" buttons (in Transparent PNG). The buttons come with 8 phrases x 6 colors x 3 sizes. The phrases are: "Add To Cart, Continue, Get It Now, Join Now, Order Now, Register Now, Sign Up Now, Subscribe Now". PLUS, you'll receive the PSD files to create your own call to action! 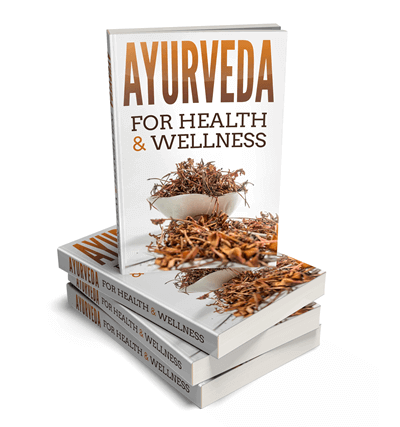 'Ayurveda for Health and Wellness' - 5,679 words, 35 pages. 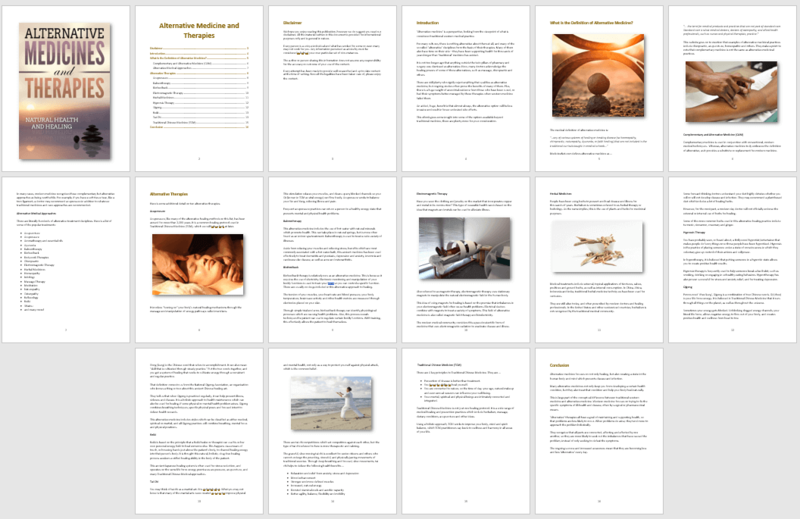 'Alternative Medicines and Therapies’ - 2,132 words, 16 pages. Now you can load up your social posts to all the social platforms you post to with these ready-to-go snippets! You'll receive 10 social posts, 1 for each of the articles in this package! So you can post whenever you like without having to think what to write! Add your snippet and social poster and you're done! We have a license to give these to you as a bonus gift! You can use these graphics wherever you need a 'Call to Action' on your own websites! 144 "Call To Action" buttons (in Transparent PNG) and 144 animated gif buttons! The buttons come with 8 phrases x 6 colors x 3 sizes. PLUS, you'll receive the PSD files to create your own call to action! [NO] You CANNOT sell on auction websites such as eBay or Fiverr. 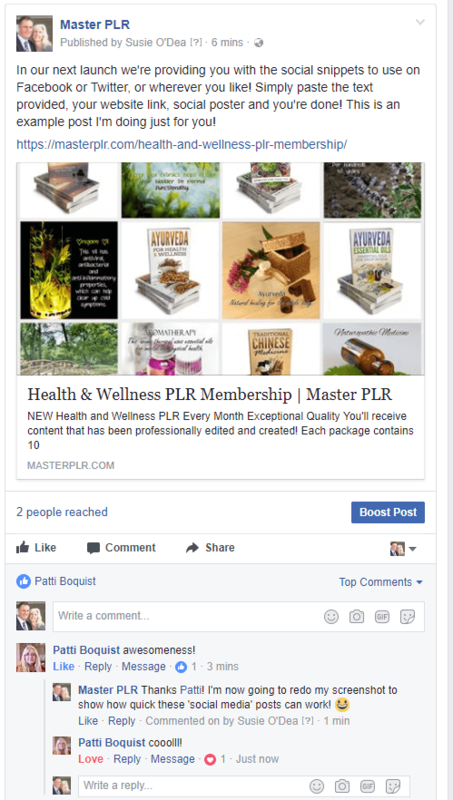 [NO] You CANNOT add ANY content to your PLR stores!